Engaging with local stakeholders is a critical component of our efforts to contribute to improving the quality of life in the communities around our operations ‐ to learn from their experiences, as well as share our own; to consider stakeholders’ input as part of our decision-making processes; and to keep local stakeholders involved in planning and managing our efforts. Many of our sites have Community Advisory Panels (CAPs) in place that meet regularly throughout the year to provide a forum to engage in meaningful discussion, collaboration and information sharing. 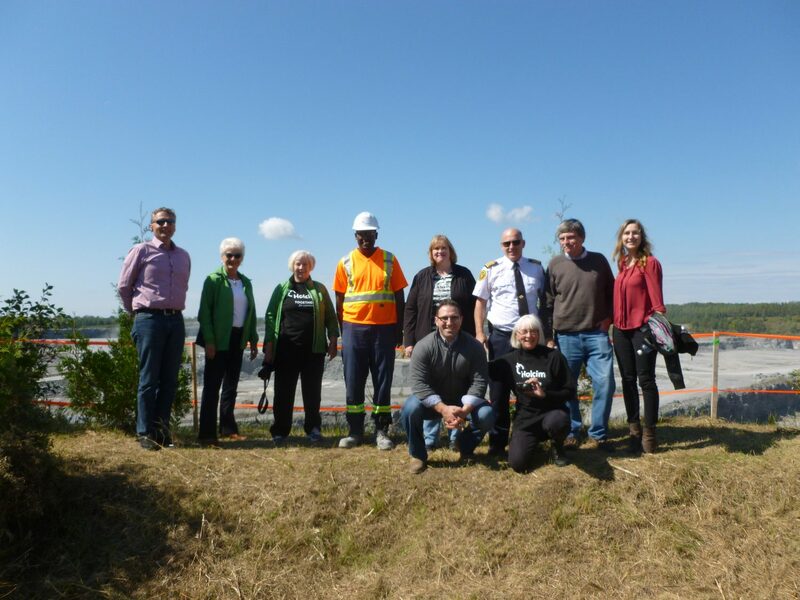 These organizations consist of representatives of the local community, including residents, public officials, industry and other stakeholders, and representatives of the local CRH operation. For more information related to specific Community Advisory Panels (CAP) CRH operates in Canada, please click here. 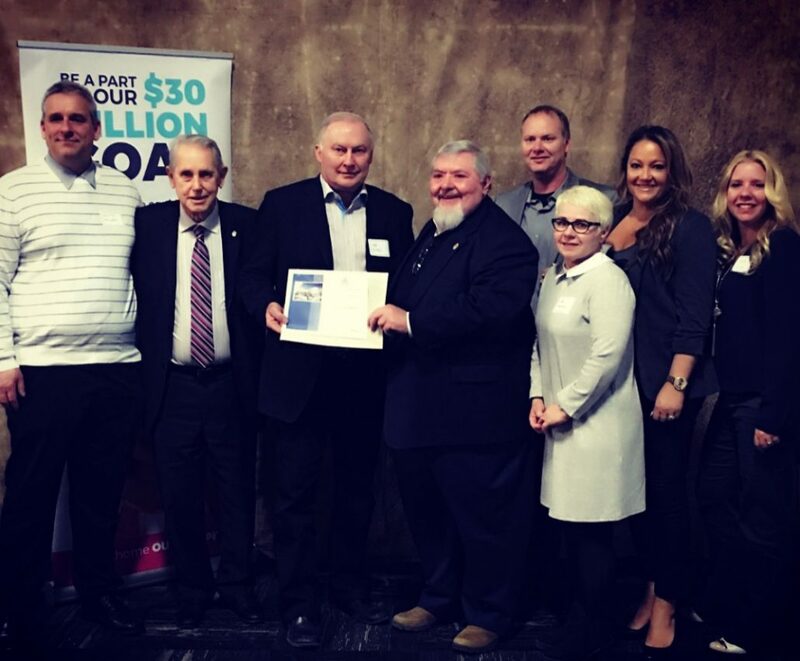 For over 15 years, Dufferin Aggregates has been a proud supporter of The Darling Home for Kids, a unique centre that provides unique and enriching experiences to medically fragile children. Located in Milton, the Home provides a warm and home-like environment, which gives comfort and a break to families facing the daily challenges of caring for a child with complex medical needs. Through signature event participation and in-kind contributions, we are proud to have provided over $100,000 to support the children in the respite, palliative and residential programs with medically complex cases at the home. 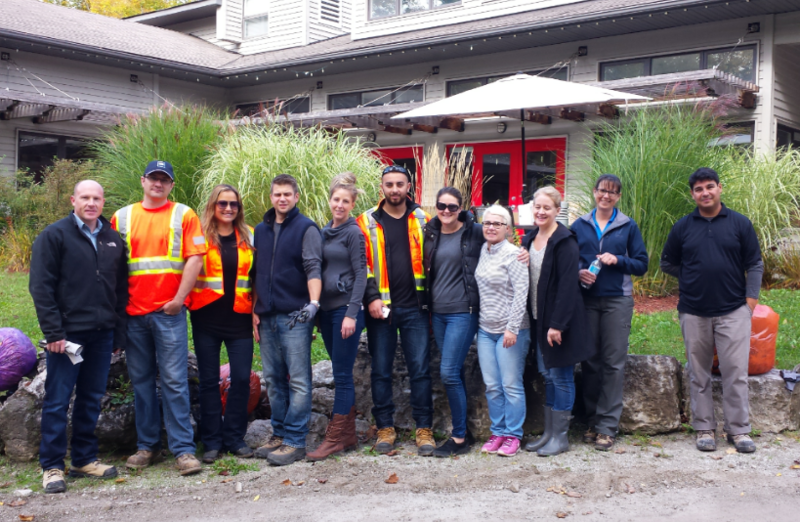 In addition to donating materials to help with the Home’s initial construction we are happy to provide in-kind support for the ongoing maintenance of the Home’s exterior areas and any special construction projects that have taken place since they opened their doors. In 2016, we commenced a special initiative to refurbish the existing trails surrounding the home. 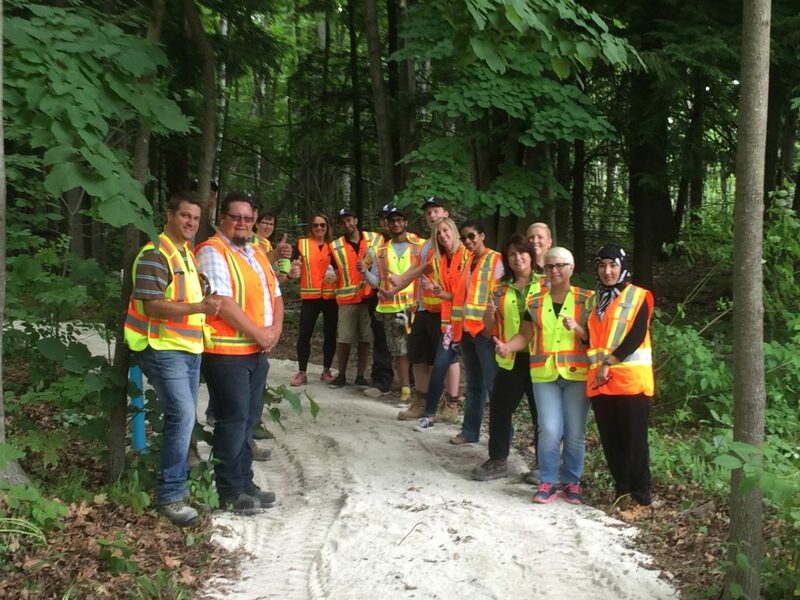 25 volunteers rolled up their sleeves to work on clearing the trails and laying the product to provide wheelchair accessibility for the children to explore the peaceful serenity, and enjoy all of the beauty that the Niagara Escarpment has to offer. The Cedarbrook Society is a registered charity that owns and operates The Darling Home for Kids. Click here for ways to support the Home. 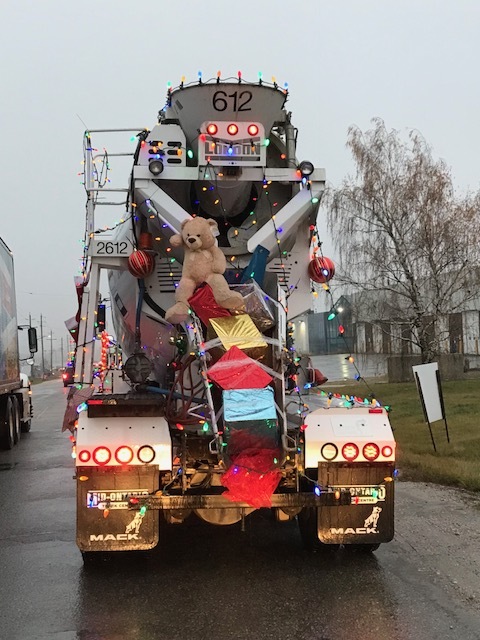 At Dufferin Aggregates, we take pride in giving back to the communities we live and operate in. 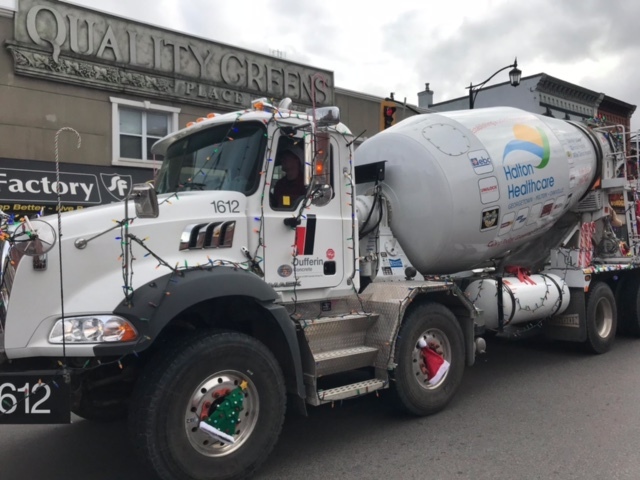 With help from our customers, the Ready Mix Drum Sponsorship Program, an initiative spearheaded in 2008, has raised over $1 million in support of Ontario hospitals. This investment in our community hospitals is made possible by our business partners who contribute to much needed hospital programs. 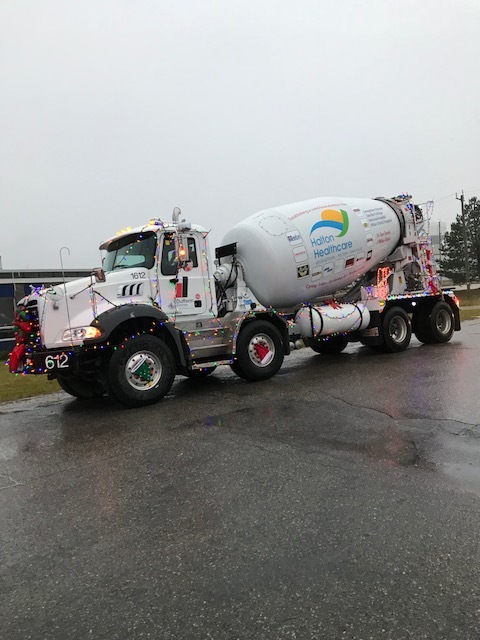 In appreciation, the companies have their logos placed on select Dufferin Concrete ready mix concrete trucks which offer “rolling recognition” throughout the communities of Durham Region, Halton Hills, Hamilton, London, Milton, Oakville, and Toronto for one year. The hospitals in our program receive 100% of the funds raised to purchase vital medical equipment. 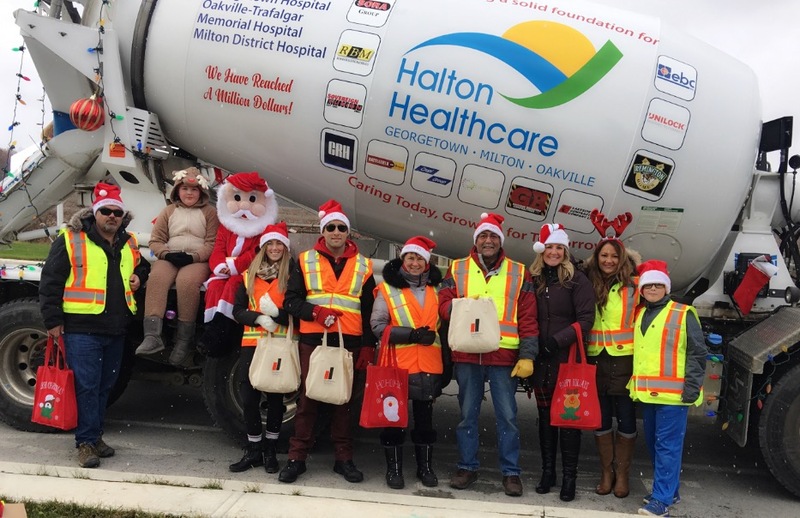 The program is in support of Georgetown Hospital, Oakville-Trafalgar Memorial Hospital, Milton District Hospital, McMaster Children’s Hospital, Grandview Children’s Centre and the Children’s Health Foundation. Click here to learn more about how you can support this program.